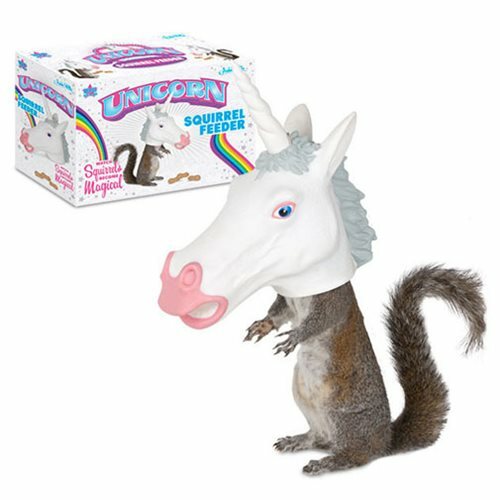 Fill this Unicorn Head Squirrel Feeder with feed and watch as any average neighborhood squirrel evolves into a magical and majestic Unicorn, flying away into the heavens. Okay, maybe the last part won't happen, but this feeder is sure to bring laughter as any feeding squirrel with have a large and cumbersome head. This hilarious feeder will hang easily with string (not included) and it measures approximately 10-inches x 9 1/2-inches.